Following on from her wildly successful book Celebrate providing sage advice for all kinds of entertaining, Pippa Middleton, in celebration of her nephew Prince George’s birth is to release a new book entitled ‘Christening‘. You can’t book a Christening at a mosque, synagogue or even at the Westfield shopping centre – who knew? If you decide to go for one in an Orthodox church they completely dunk the baby in the font. You have been warned. Choose your Godparents wisely – ensure they have good dress sense and their outfits won’t clash with yours as they will have to stand up and make some statements in front of all your friends and family. They have to say something about believing in God and rejecting Satan (ruling out any Satanist friends for the role). Surprisingly, these days, babies do get their heads a bit wet at Christening services so make sure you remove any adorable little bonnet you have bought. Ask your friendly vicar if it is possible to do a flash mob in the church as part of the ceremony. Splish splash I was taking a bath by Bobby Darin is a popular choice. Check with the vicar that they know how to pronounce the name of your baby. If they get it wrong in the ceremony that is then the way the name must be pronounced for time immemorial. Make sure you save the certificate for that all-important school application. It is considered bad luck for the baby to be sick on the vicar. In honour of John the Baptist it is really ‘in’ to serve locusts and wild honey at your reception party. These can be bought at your local Whole Foods store. 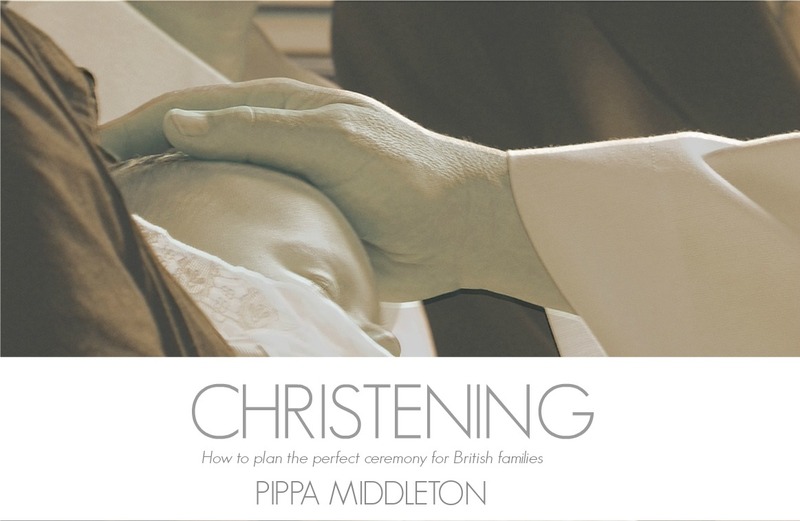 Christening by Pippa Middleton will be available at all good book retailers soon. This entry was posted in Funny articles and tagged Alexander, Cambridge, duchess, George, Louis, Pippa Middleton, prince, Prince George, Prince William, Royal Baby by masterofthememes. Bookmark the permalink. Cousin Pippa, always the opportunist…. Sorry, where does this god stuff come into a Christening? We have a society event to organise, no time for theology when sorting out a wine list! By the fact it is called a CHRISTening there is intrinsic ‘God’ stuff and theology, sort out the wine after!